Obituary for Mrs. Shelia Allen | C. C. Carter Funeral Home, Inc.
Shelia Lynette Allen departed this earthly realm on March 24, 2019. She was born on July 14, 1939 in Atlantic City, NJ to Georgia and Lemuel Wallace, Sr.
Shelia grew up in Hampton, VA and graduated from Phenix High School. She was a dedicated and faithful member of First Baptist Church of Hampton. Shelia was also a longstanding member of FBCH's Gospel Choir. Shelia married her beloved husband James H. Allen, Jr. in 1960. Over the years she held various positions in food services, daycare and the retail industry. Shelia loved solving crossword puzzles and word searches in her spare time. She truly loved the Lord, her husband, family and close friends. Shelia was preceded in death by her parents, siblings, her beloved spouse James H. Allen, Jr. and her son Walter L. Wallace (Sophia). Shelia is survived by her three remaining sons, Andre R. Wallace, James H. Allen, III (Victoria) and Dwayne K. Allen; grandchildren, Jessica, Antoinette, Brian Sr., Michael Sr., Melia, Dwayne, Andrea, Juwan, Tarik; great-grandchildren, Brian Jr., Nayla, Amari, Alex, Travis Jr., Damir, Michael Jr., and Brandon. Shelia also leaves her extended family, brother-in-law Cornell Sapp; sister-in-law Marlene Wallace; daughter-in-law, Valerie Wallace; nieces, Stephanie Wallace-Steele, Dianne Sapp, Debra Sapp, Cynthia Sapp, also close family friend Alice Crocker Parker and a host of loving relatives and friends. Mrs. Allen was also preceded in death by her son Walter Wallace ( Sophia). Left to cherish her memories are her sons Andre Wallace (Valerie) James Allen III, (Victoria) and Dwayne Allen. Ten grandchildren, eight great-grandchildren and a host of ralatives and friends. 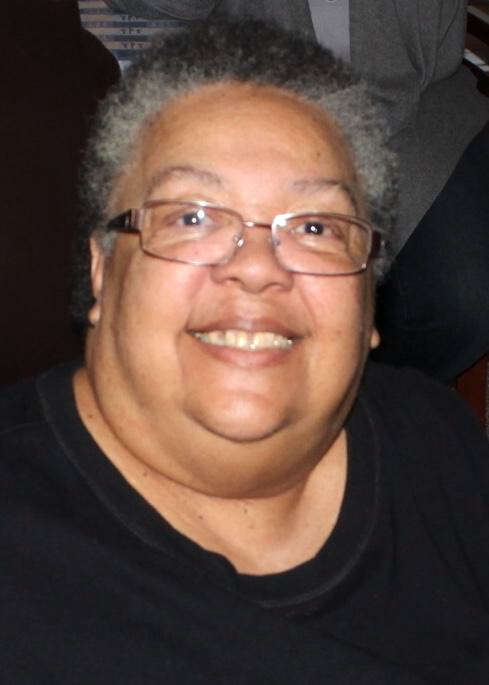 Services for Mrs. Allen will be held 11:00 a.m. Friday, March 29, 2019 at First Baptist Church of Hampton, 229 North King Street Hampton, VA. 23669 by Rev. Leon Aaron. Viewing for Mrs. Allen will be held from noon until 5:00 p.m. Thursday, March 28, 2019 at C.C.Carter Funeral Home, Inc. It is the desire of the Allen family that you keep them in your thoughts and prayers. The family of the late Mrs. Shelia Allen has entrusted her final care to the staff at C.C. Carter Funeral Home, Inc.